Hosa GXJ-235 1/4" to XLR Adaptor DJParts - All Variety of Parts that DJ Needs. 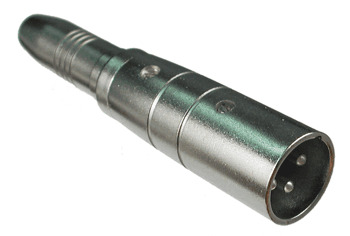 This adaptor simply converts a 1/4" to an XLR. Works with Balanced or unbalanced cables.